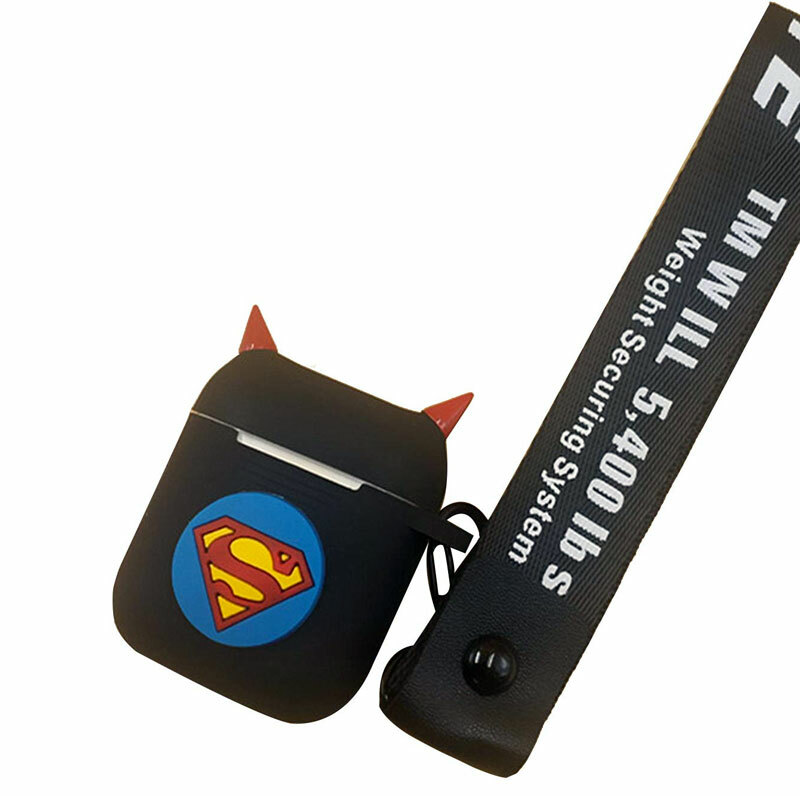 Batman must have seen the signal. The Apple signal projected high in the sky, beseeching protection for their 2nd gen AirPods. 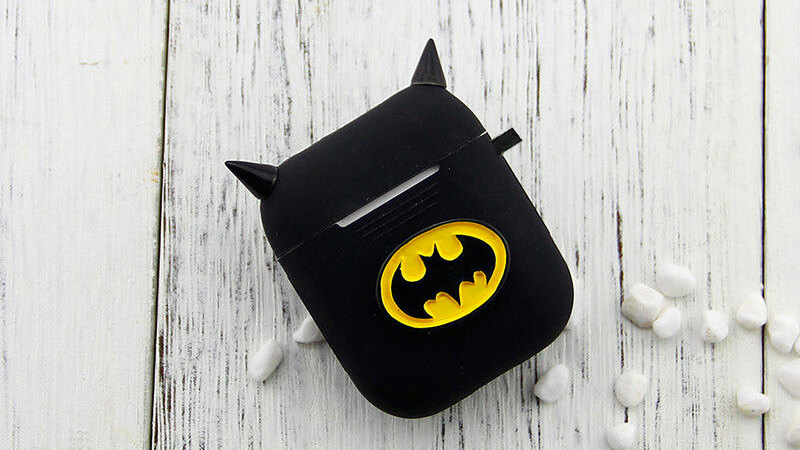 While the Dark Knight declined to fight off slips, drops, and downpours personally, he did offer to cover any interested AirPod owners' cases with an impact-resistant silicone rubber Batsuit. Pokey ears on top included. 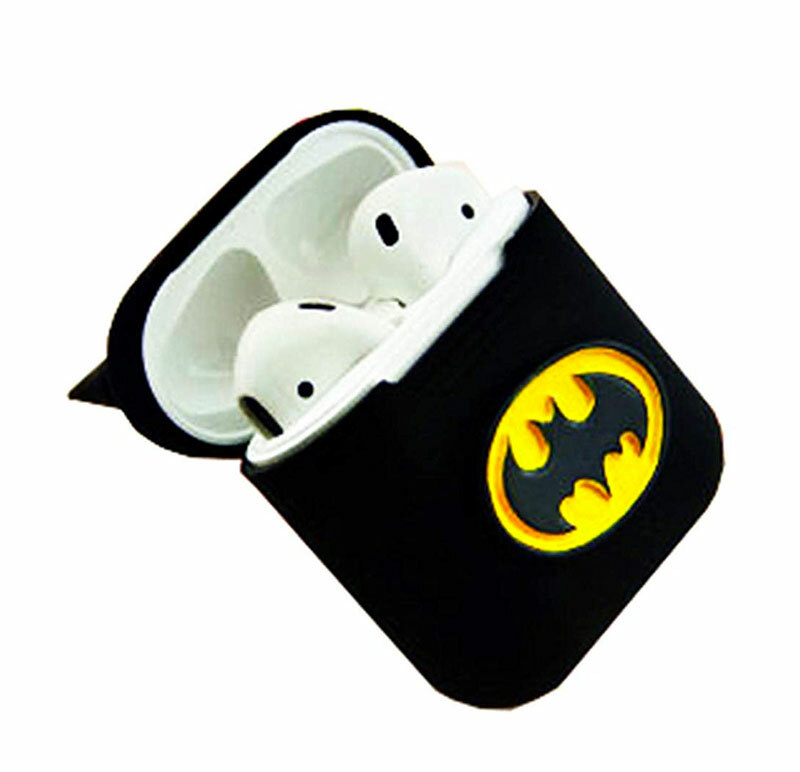 The Batman AirPods case shields your buds from bumps, drops, and shocks (though doesn't appear to have a water resistance rating). 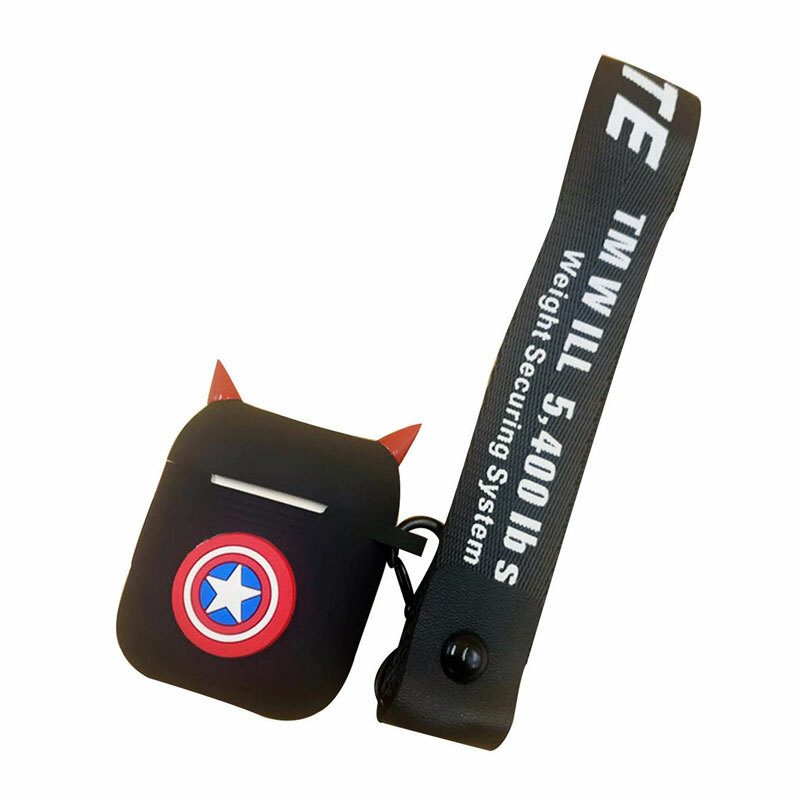 It comes with a hanging strap and has a hole on the bottom for charging port access. 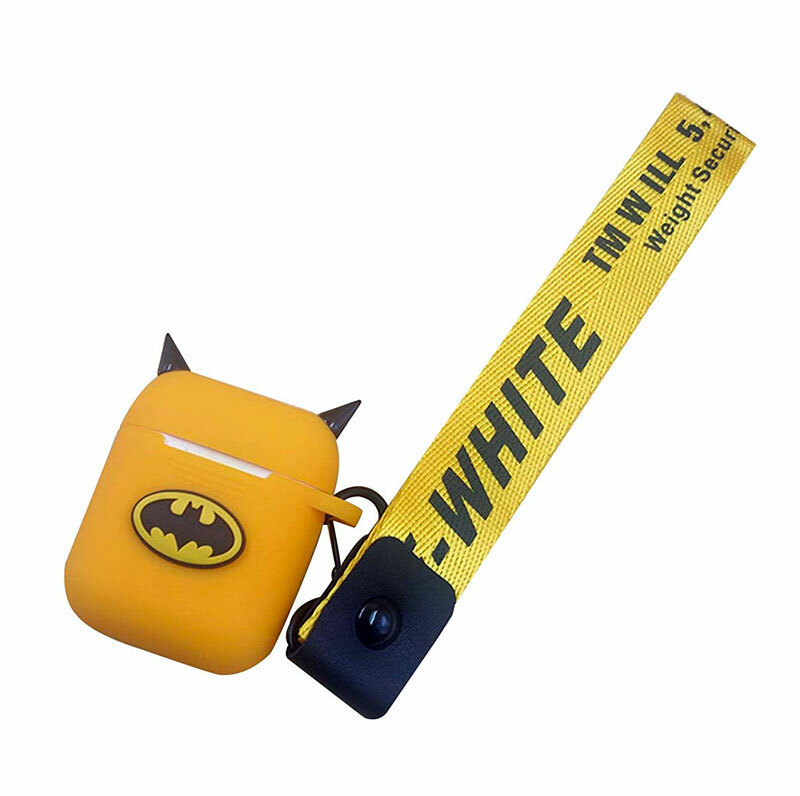 You can choose from black or yellow Batman covers, and these superhero-themed AirPods cases also come in Captain America and Superman versions which, inexplicably, also have ears.